The twin duo of Lidia Yanes Garcia and Claudia Yanes Garcia easily won at No. 1 doubles, 6-1, and Helena Kuppig and Danielle Morris followed up with a 6-1 victory of their own to claim the doubles point for the Govs. At No. 2 doubles, Tatiana Lopez and Honoka Nakanishi were ahead 5-3, but the match went unfinished. The Govs continued to impress in singles, with Lopez winning her fifth straight match after a 6-1, 6-1 victory at No. 3 singles. 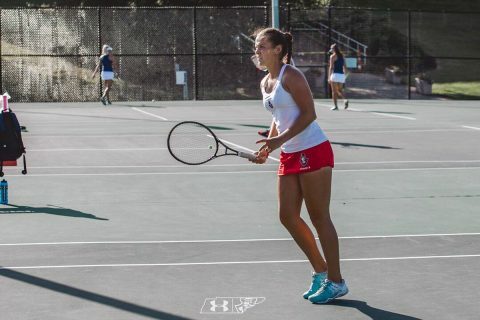 Lidia made it a 3-0 Govs lead after dominating one of the best NAIA players in the country, winning 6-2, 6-1. Kuppig, who clinched numerous matches last season for the Govs, did the same today after winning 6-3, 6-1. Claudia added a win of her own at No. 2 singles before the match was rounded off by two more straight-set wins from Morris at No. 5 singles and Nakanishi at No. 6 singles. For Nakanishi, it was her first career singles win in her first career attempt as a Governor. 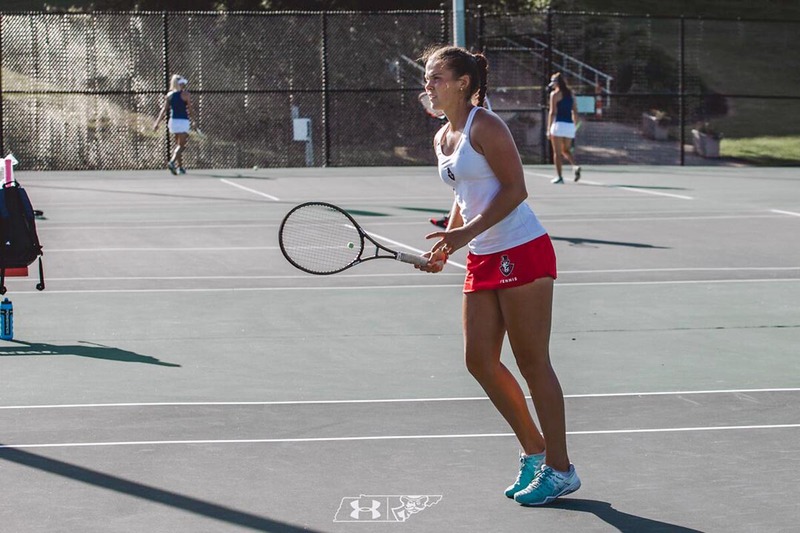 In addition to Nakanishi improving to 1-0, the Yanes Garcia twins and Lopez remain unbeaten in singles to start the spring season. The Govs are in the thick of their five-match homestand and will take on Central Arkansas, 11:00am, Saturday, February 9th.